Cashmere, the nature fiber of the highest quality, is luxuriously soft and feather-light in weight. Cashmere fibers can be compactly arranged during the spinning process, resulting in excellent warmth retention (typically 8 times that of wool) without adding bulk. Therefore, cashmere garments are uniquely breathable and comfortable. In addition, cashmere fibers are strong and elastic, meaning that they return to their original state when stretched, so cashmere garments retain their shape during wear and laundering. Another interesting fact is that as cashmere is worn and hand washed over time, the fibers will become softer and softer. How to determine the quality of cashmere? Cashmere fiber quality is measured in length (measured in millimeters), diameter (measured in microns), and color. Micron (μm) is a measure of diameter equal to 0.001 mm, or 1 millionth of a meter, or 0.04 thousands of an inch; human hair is on average 45 microns. 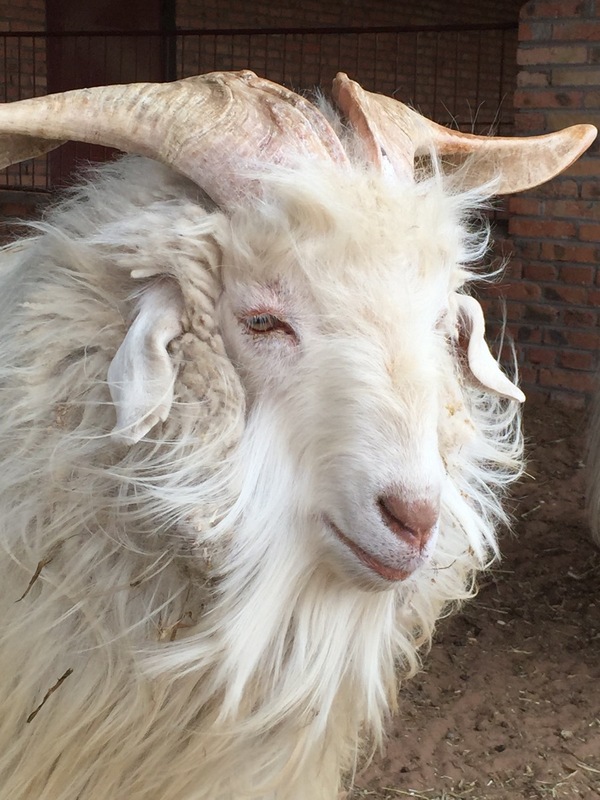 In order for a natural goat fiber to be considered cashmere, it must be under 19 microns in diameter and be at least 34 mm (1.339 inches) long. The longer, finer, and whiter the cashmere, the more rare and expensive it is. Finer and longer cashmere is what goes into luxury garments. Thicker, shorter hair will be made into less expensive garments and is often used as part of a blend. Where does cashmere fiber come from? Cashmere is the downy undercoat grown by cashmere goats living in the high and dry plateaus with extreme weather. These goats have a coarse hair that repels the extreme cold. Under that outer coat lies a much finer fiber: cashmere, which insulates these animals from the bitter cold. 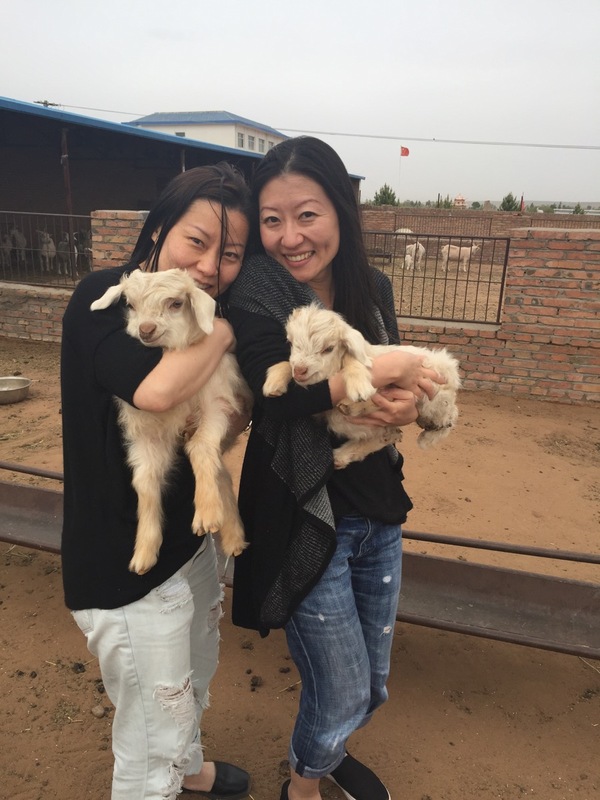 The great majority of the world’s best cashmere comes from Inner Mongolia (an autonomous region of China) and Mongolia (aka Outer Mongolia), where 40 million goats contend with temperatures below -22°F (-30°C). The colder the weather and the longer the days, the longer and finer the goat’s hair. And Mongolian weather can drop to -58°F (-50°C); that’s why China produces the finest and best cashmere in the world. 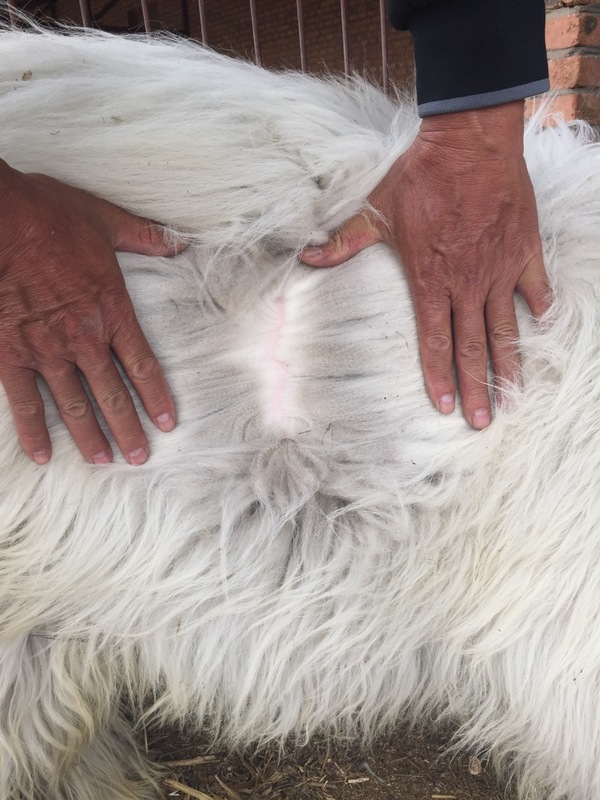 In the spring, as they start to moult, the goats are combed or shaved to remove their fine underhair while leaving the outer coat (guard hair) intact. The combings are then washed and “dehaired” of any stray guard hair, so that what is left is the precious, pure cashmere. 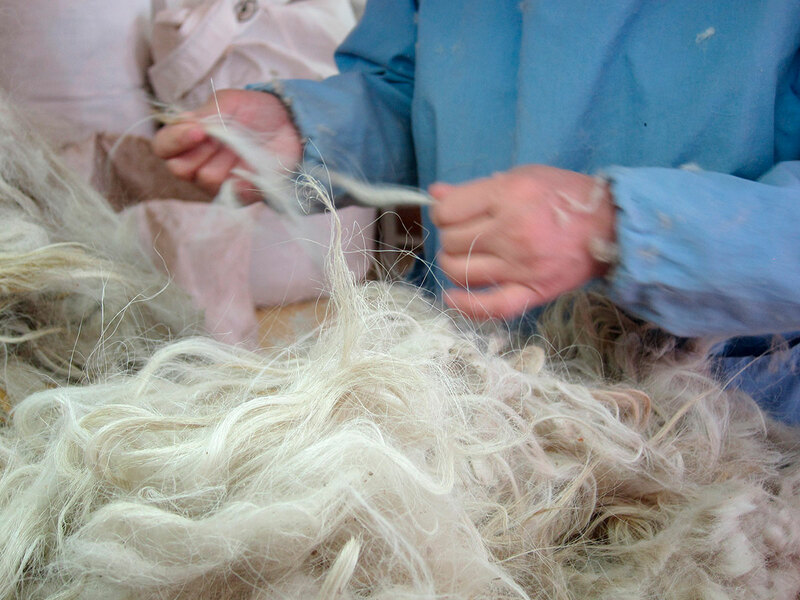 Cashmere resources are rare and accounts for only 0.2% of the total output of all animal fibers. 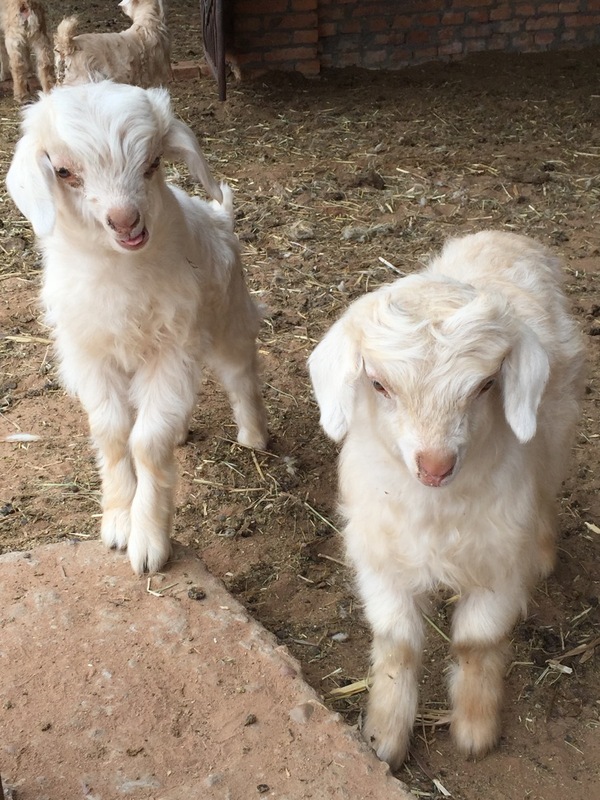 The supply of cashmere is limited due to the special living condition of these cashmere goats, that these goats shed only once a year each spring. 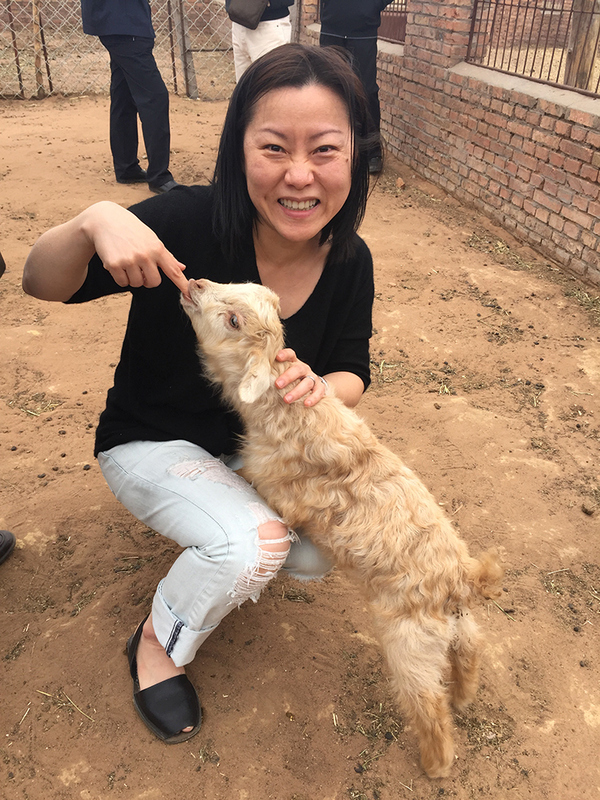 After the goats are combed or shaved and hairs collected by hand each spring, the hairs go through many steps including sorting, scouring, re-sorting, and dehairing to eliminate any coarse “guard” hairs before the fibers can be spun into yarn. 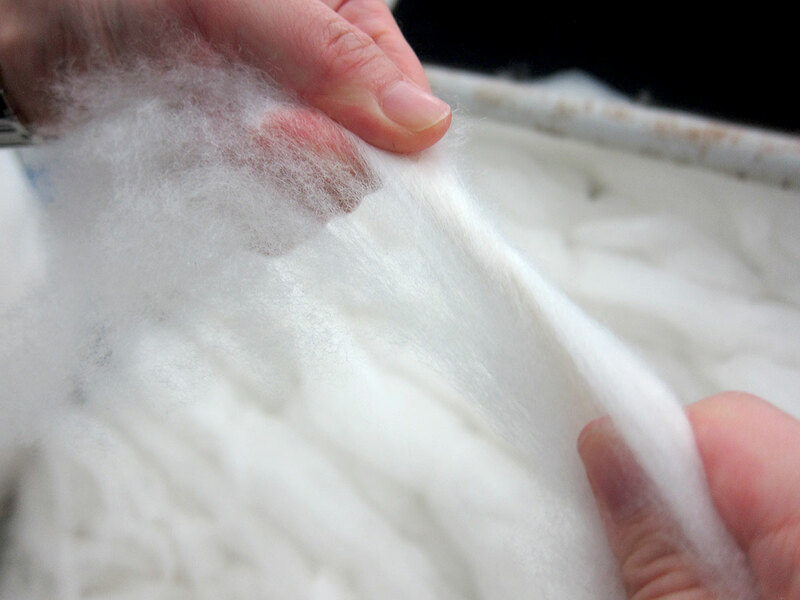 Some specific processes, for example, sorting, are almost always done by hand, to make sure the selected fibers are as uniform and as pure as they can be. The scarcity of the fiber and the handwork of skilled workers with 10+ years of experience required to convert that fiber into a luxurious garment both contribute to cashmere’s price. Only the longest fibers (longer than 36 mm) passing through an additional combing process can be converted into worsted yarn. The selected, longer, and more uniformed fibers are then put into parallel form to be spun into worsted yarn. It is a finer, smoother, and higher-quality cashmere. Why does Paychi Guh collection focus on worsted cashmere? Everyday Indulgence is our philosophy. By using superfine worsted cashmere, we are able to produce lightweight, breathable, and transeasonal cashmere pieces that customers can enjoy throughout the year. In addition, the beautiful drape achieved by the worsted cashmere fabrication can effortlessly flatter most body shapes with exceptional comfort.